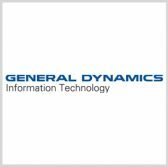 General Dynamics‘ information technology business has won a potential $53.9 million contract from the U.S. Navy to provide support services to help address command and control requirements within the Joint Staff J6 Directorate. GDIT will provide research, development, technical, engineering and analytical support services to the J6 organization’s command, control, communications and computers assessments division, the Defense Department said Friday. DoD noted the indefinite-delivery/indefinite-quantity contract has a five-year base period valued at $48.9 million and a six-month option that could extend work through August 2023. The Naval Supply Systems Command Fleet Logistics Center-Norfolk received two offers for the contract via a competitive solicitation process on the FedBizOpps website. Fiscal 2017 research, development, funds amounting to $25,000 will be obligated to cover the minimum contract amount, according to DoD.